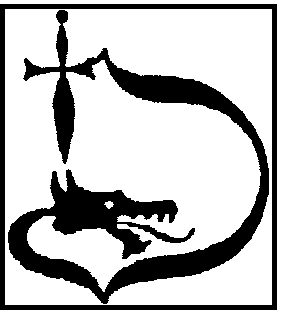 The Transylvanian Society of Dracula (TSD) was formed in Romania in 1991, following the fall of Communism. It is an international, non-profit organization dedicated to the study of both Count Dracula of fiction and Vlad (Tepes) Dracula of history. There are chapters of the TSD throughout Romania and the rest of Europe. The TSD in Romania hosts an annual Symposium and World Dracula Congresses. Its official travel agency – Company of Mysterious Journeys – offers Dracula tours in Romania. The head office of the TSD is in Bucharest, Romania. TSD members come from all walks of life: scholars, writers, artists, film buffs, tourism officials, students, computer programmers, home-makers, librarians, etc., all united by a common interest in the myth and the history of Dracula. The North American Chapter was formed at Kutztown University in Pennsylvania in 2016, under the auspices of the Kutztown University Foundation. The President is Dr. Anne DeLong, Associate Professor of English at Kutztown University and Co-editor, along with Dr. Curt Herr, of The Journal of Dracula Studies since 2009. Membership in the North American Chapter is open to residents of Canada and the U.S., as well as those in other countries that have no active chapter. Applicants must be at least 18 years of age. Note: The TSD does not direct its programs at practicing vampires or aspiring vampires. Most important, you will be part of a group that shares your enthusiasm for Dracula.